From Minnesota University Press (@UMinnPress)： Purchase here. 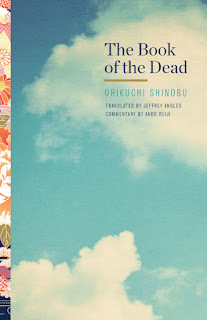 The first complete English translation of Orikuchi Shinobu’s masterwork, The Book of the Dead is a sweeping historical romance telling a gothic tale of love between a noblewoman and a ghost in eighth-century Japan. Readers will soon discover that a great deal lies hidden beneath the surface of the story; the entire text is a modernist mystery waiting to be decoded. 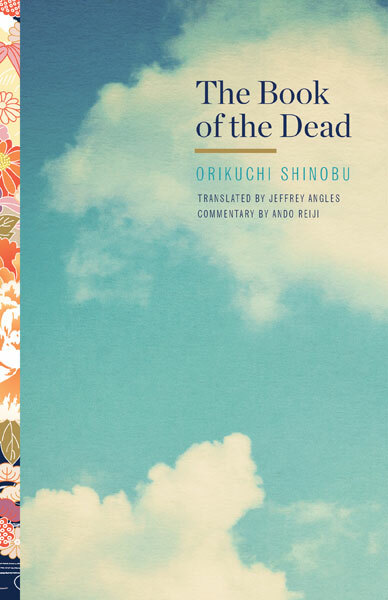 At once a work of innovative fiction, written in an evocative and poetic style, as well as a remarkably astute recreation of the natural, mental and spiritual world of Japan’s ancient civilization, The Book of the Dead, long recognized as a modern classic in that country, is now widely accessible for the first time to readers everywhere, thanks to this eloquent translation by Jeffrey Angles. Orikuchi’s work will prove fascinating to any reader with an attraction to literature, anthropology, psychology, or history. There is no other work quite like it in the whole modern Japanese canon.